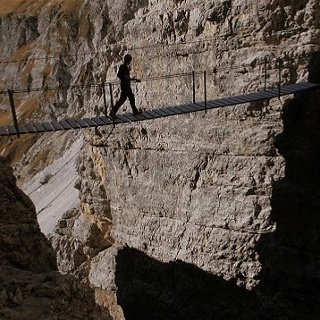 From refuge Carducci towards the new ferrata of “Croda Dei Toni“ (Severino Casara) with an exciting rope bridge. Once at the bivouac, continue north-west. 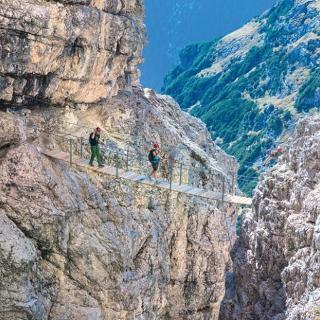 Take the via ferrata „Alpini“ 1915/1918 with spectacular stairs built 100 years ago. 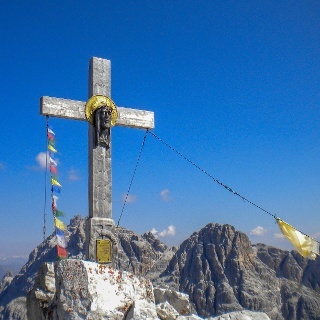 After arrival at refuge Pian di Cengia continue until the refuges around the Three Peaks/Tre Cime – Rif. Auronzo, Rif. 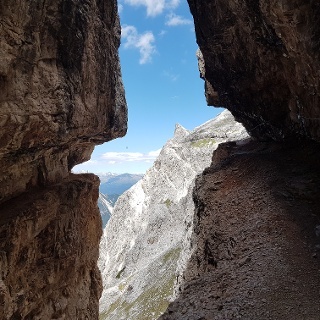 Lavaredo or Dreizinnenhütte. 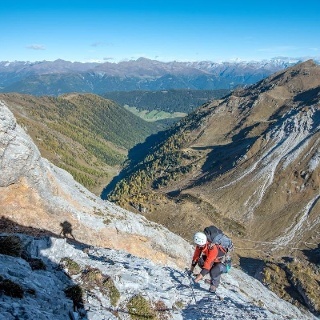 Klettersteig um den Zwölfer von der immer noch gesperrt!!! Das letzte Stück nur mit Bergseilen gesichert und SEHR viel Steinschlag! !